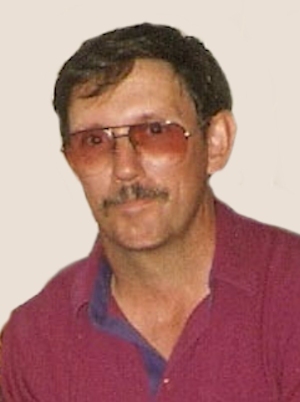 Obituary – Thompson, Gary Dean « Perry High School Alumni Association, Inc.
Football and Basketball Manager 66-69; Junior Play 68; Jr. Rotarian. Gary Dean Thompson 57 passed from this life on October 13, 2008, after a 1 -1/2 year battle with pancreatic cancer. Gary was born on January 16, 1951, in Guthrie, OK to Jack and Ethel (Kemnnitz) Thompson. 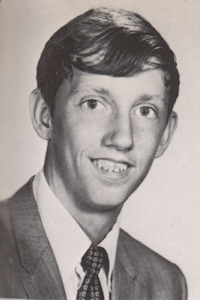 Gary grew up and graduated with the class of 1969 in Perry, OK. The eldest son of five children, Gary graduated from Oklahoma State University with a degree in Secondary Education in 1974. He married his wife John Ann on July, 1976. He received his masters in education degree from Northeastern State University 1977. He began his teaching career in Jay and then moved to Grove. Gary started the varsity golf program at Grove schools and coached for twenty years. He was named an All-State coach in 1997. He also coached boys cross country and basketball at Grove. He retired in 2003 after 30 years of service in education but continued teaching part-time and also working part-time in the pro shop at the Coves Golf Club. Gary loved working with people, his infectious smile and positive attitude made him a friend to all. Gary is survived by his wife of 32 years, John Ann, one son Lukas of Stillwater, OK, his father, Jack Thompson, one sister, Peggy Haxton and husband John, three brothers, Randy Thompson and Bradley Thompson all of Perry, OK, Mike Thompson and wife Denise of Midland, TX, along with two nieces and six nephews. He leaves behind his mother-in-law and father-in-law Doris and John Masters of rural Grove and many, many friends. He was preceded in death by is mother Ethel in 2003. The funeral will be held on Thursday, October 16, 2008 at 2:00 p.m. at the Cornerstone Church with burial at the Cheatam family cemetery south of Grove. Visitation is scheduled for Wednesday, October 15, 2008 from 6:00 to 8:00 at the funeral home. Donations may be made in a scholarship fund to Gary Thompson Memorial Golf Scholarship Fund at the Bank of Grove or to the American Cancer Society in care of the funeral home.